Creamy peanut butter cheesecake swirled with fudgy dark chocolate brownies makes for one decadent dessert. 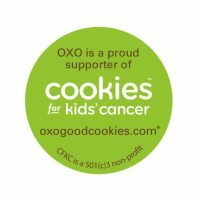 For each #OXOGoodCookies post, OXO will donate $100 to Cookies for Kids Cancer, a 501(c)3 organization providing annual research grants to pediatric cancer centers to research more effective treatments for children battling cancer. Is there anything better than rich chocolate fudgy brownies swirled with peanut butter cheesecake? 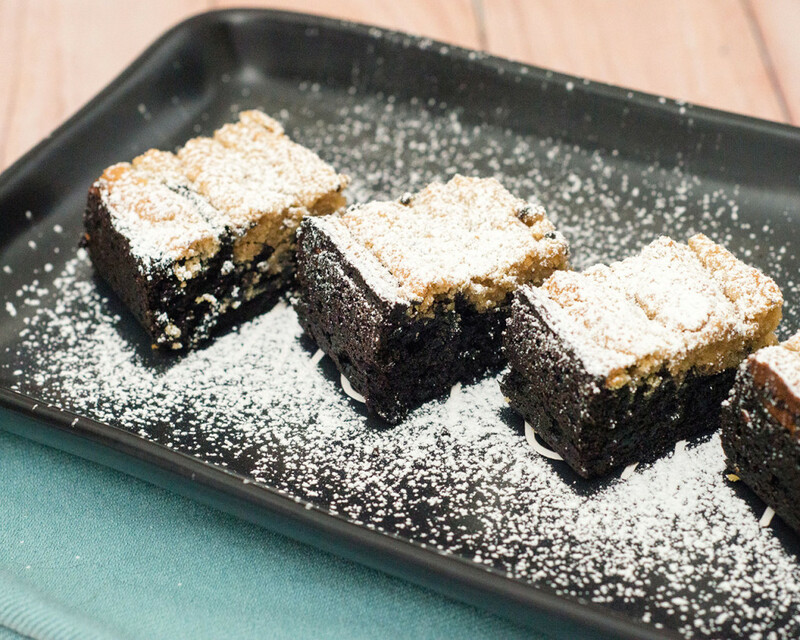 How about rich chocolate fudgy brownies baked for a good cause? I mean, not that I need an excuse to bake something decadent, but I love knowing that my baking is having a positive effect on the world. I’m thrilled to be partnering with OXO again this year to bake for Cookies for Kids Cancer, a 501(c)3 organization that provides research grants to pediatric cancer centers to find less toxic, more effective methods of battling pediatric cancer. For each #OXOGoodCookie post, OXO (my favorite kitchen utensil company, even BEFORE I started blogging) will donate $100 to Cookies for Kids Cancer, up to $100,000. I recently received the non-stick pro 9×13 cake pan, the brownie spatula, and the baker’s dusting wand. Like just about every other OXO product I’ve used, they are quality products. The pan is heavy-gauge aluminzed steel and baked my brownies very evenly. 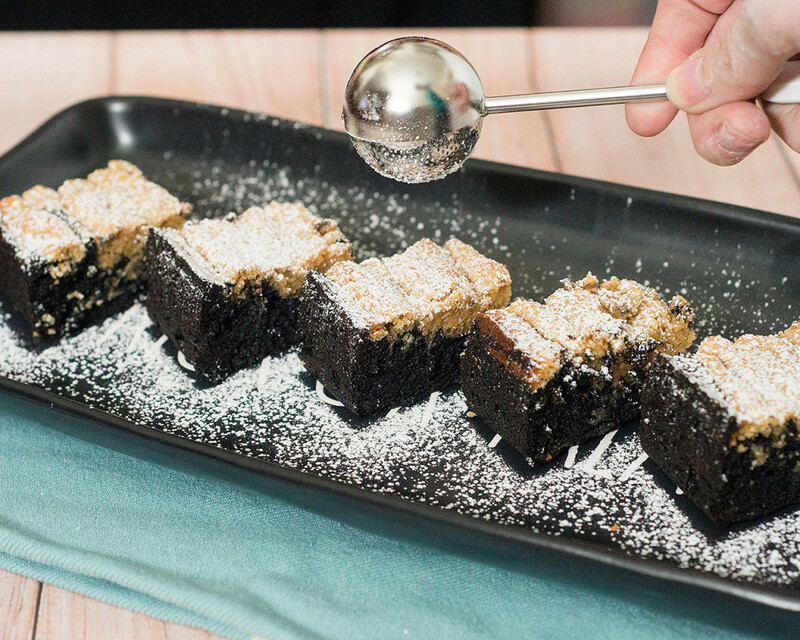 The brownie spatula is the perfect width for lifting brownies out of the pan. The bakers’ dusting wand is perfect for garnishing with powdered sugar, cocoa, or even ground cinnamon. These fudgy brownies are so easy to put together, and are incredibly moist and chocolatey. This was the first time I’ve ever used dark chocolate cocoa powder for baking, and at least for brownies, I’m not going back to regular. The chocolate flavor of these brownies is intense. You could cut these into single-bite-size and still have a satisfying snack. Preheat oven to 350 degrees. Grease the bottom and sides of a 9x13 baking pan with nonstick spray. In the bowl of a stand mixer, cream together the butter and sugar until light and fluffy. Add the eggs one at a time, beating well and scraping down the sides of the bowl between each addition. Beat in the vanilla extract. In another bowl, sift together the flour, cocoa and salt. Add to the stand mixer, and stir on low speed just until incorporated. Spread the mixture in an even layer in the prepared baking pan. In another mixing bowl, cream together the cream cheese, peanut butter and sugar until lightly and fluffy. Add the egg and vanilla and beat until smooth. 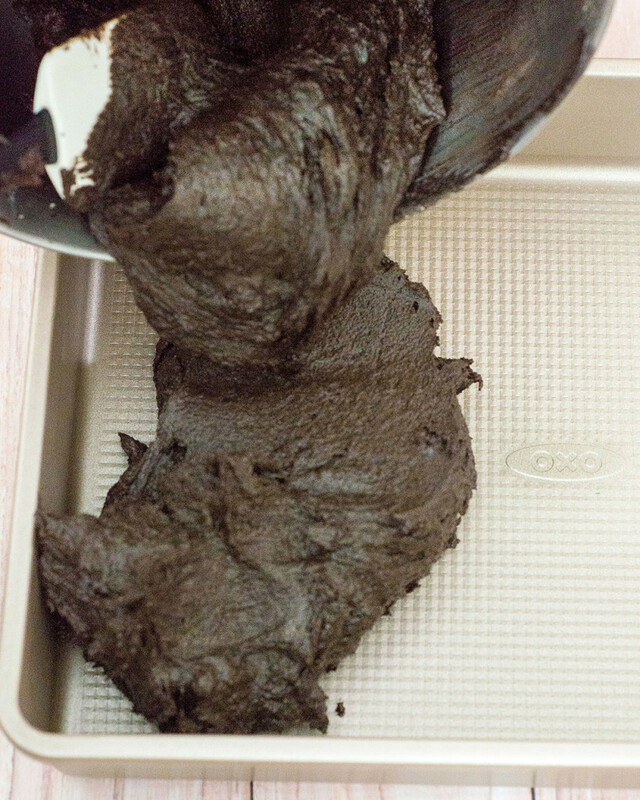 Use a large spoon to drop dollops of the peanut butter mixture over the brownie batter. 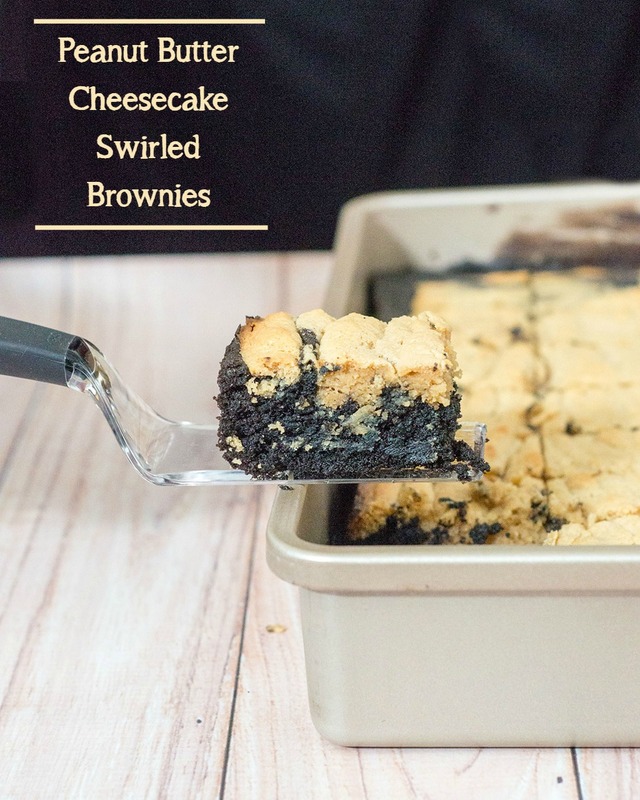 Use a butter knife to swirl the cheesecake with the brownie batter. Bake for 30 to 40 minutes, until the top of the brownies appears dry and the center no longer jiggles. Set on a wire rack to cool completely before slicing into 1 1/2x2-inch bars and serving. Dust with confectioners sugar, if desired. While I received free OXO products in exchange for this post, all opinions contained in this post are my own.